In the same way that dinner jackets have their own rules – rules that can be followed or adapted according to your personal taste – a dress watch traditionally has certain characteristics. 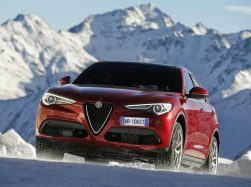 Its most important functional feature is slimness, less than 9 mm thick, so that it can slip easily under a shirt cuff. For the same reason it is not large, typically 38-39 mm in diameter. It is hallmarked by simplicity, with just hour and minute hands, perhaps a seconds hand, no date window, no colourful decoration, and a simple black leather strap. 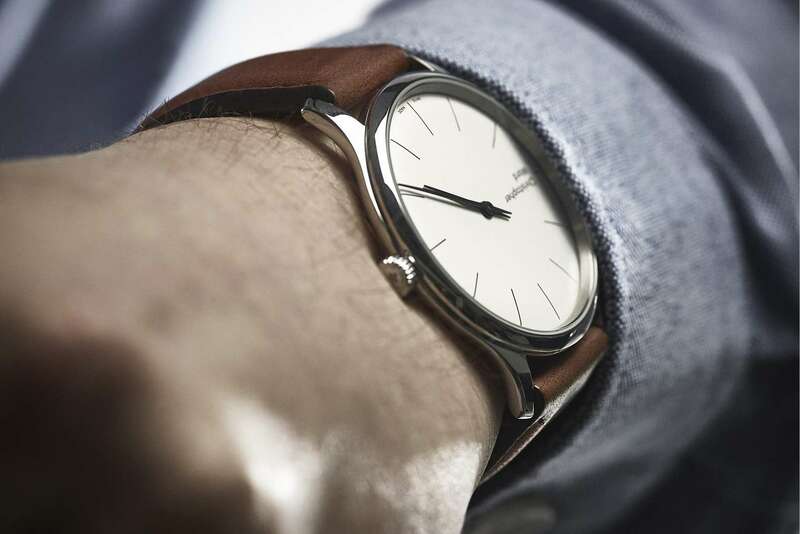 A dress watch is minimalist, understated, discreet and refined. It can be worn with a business suit, a dinner jacket or white tie. This selection is in order of increasing thickness. The Classique 5157 by Breguet combines superb artisanal skill – a hand-engraved guilloché dial, traditional Breguet hands and Roman numerals – with the latest watchmaking technology, with a balance spring in silicon for greater time-keeping stability and anti-magnetic properties. The view through the sapphire caseback is spectacular, with the gold oscillating weight of the self-winding movement decorated in guilloché. 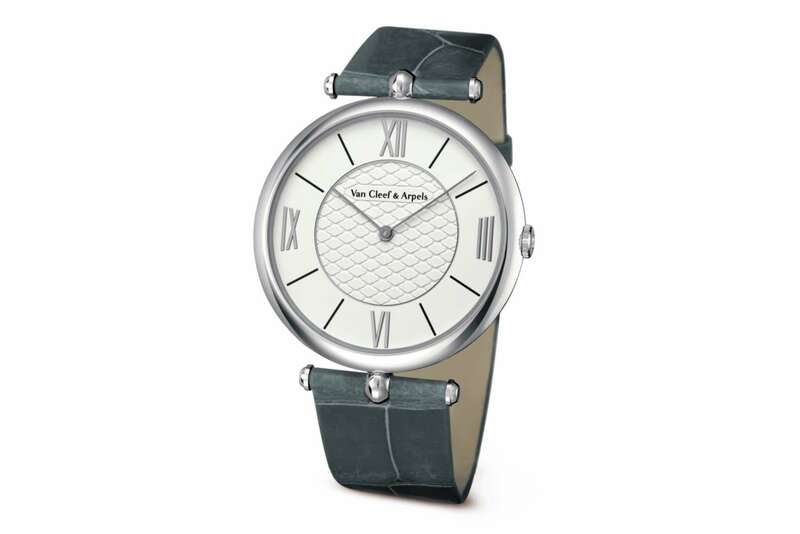 The white gold case is 38 mm in diameter and 5.4 mm thick, with a black alligator strap. This watch, a new model for 2018, costs €17,600. Further information from the Breguet website. The Pierre Arpels watch by Van Cleef & Arpels has a long and distinguished history, and an unusual design. Pierre wanted a watch slim enough to slip under his shirt cuff, and he liked the idea of a case in the shape of a perfect circle. So instead of the usual double lugs, there is just a single lug for each strap. For years, it was made for Pierre alone, with a few duplicates made for family and friends. It was only put into production in 1971. 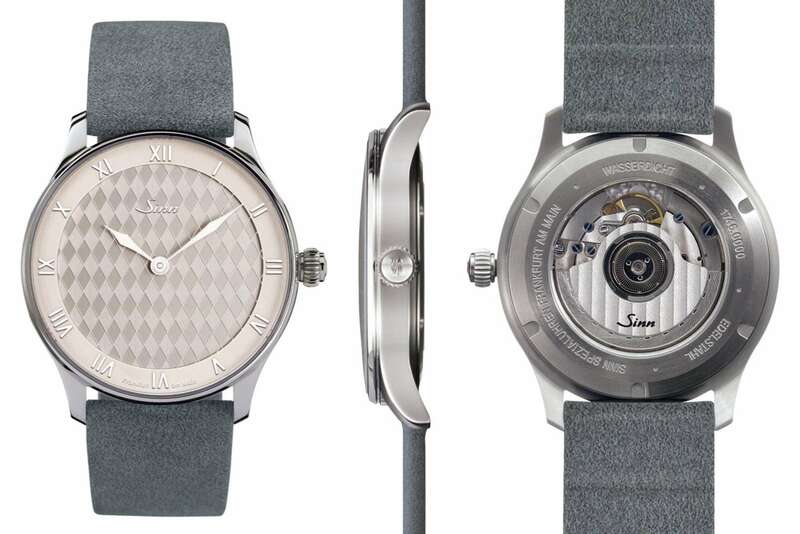 The version shown here has a white gold case, 38 mm in diameter and 5.79 mm in thickness, with a white lacquer dial decorated by a central section with honeycomb motif. The movement is the hand-wound Piaget 830P (Piaget and Van Cleef & Arpels are both part of the Richemont Group) providing a power reserve of 60 hours. Reference VCARO3GI00, price €14,500. Read more on the Van Cleef & Arpels website. 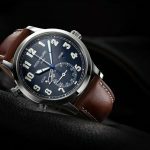 Patek Philippe is celebrating the 50th anniversary of its Golden Ellipse with two new models, a limited-edition platinum version with blue dial, and the rose gold version shown here. 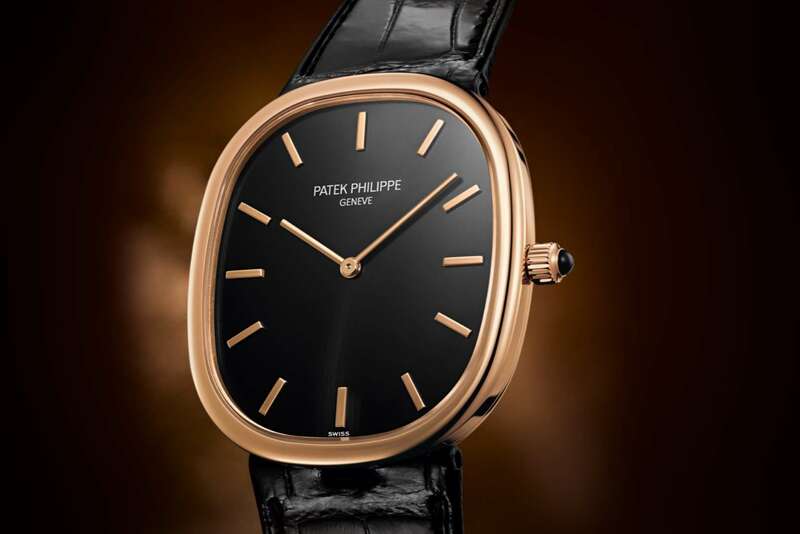 The Golden Ellipse was launched in 1968, and it became an immediate classic, for its unusual case that combines elliptical and rectangular shapes, and its proportions, based on the Golden Mean – the origin of its name. The case is 34.5 x 39.5 mm in size, 5.9 mm thick, with a black alligator strap. The watch is powered by the self-winding Calibre 240, which is sumptuously engraved even though it remains hidden behind the solid caseback. Price €28,450. Patek Philippe also offer a pair of cufflinks that are a perfect match to this watch. Further information from the Patek Philippe website. 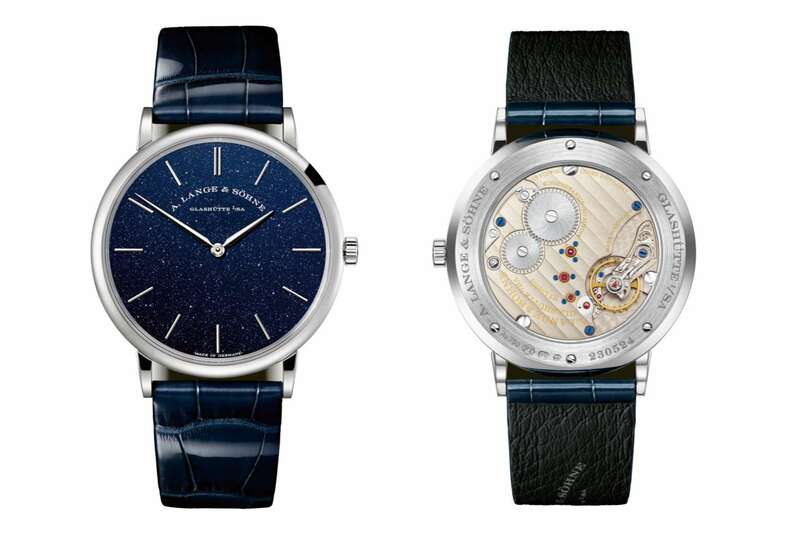 With a 40 mm case just 5.9 mm in thickness, the Saxonia thin is the slimmest watch by A. Lange & Söhne to date. This new version presented in 2018 has a beautifully minimalist dial coated with copper-blue goldstone, a type of glass that creates an intriguing speckled effect resembling stars in the night sky, framed by the white gold case and enhanced by the midnight blue alligator strap. The Calibre L093.1 movement is a hand-wound masterpiece, 2.9 mm in thickness, with all the Lange characteristics such as screwed gold chatons, whiplash balance regulation and the three-quarter plate finished with Glashütte stripes. 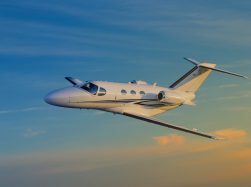 It provides 72 hours power reserve. Price €20,800. 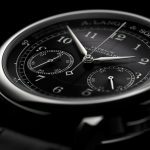 Further information on the A. Lange & Söhne website. The C5 Malvern 595 by Christopher Ward is a masterpiece of discretion, with a steel case 39 mm in diameter and just 5.95 mm thick. On the dial, there are just the slender hour markers, hour and minute hands, and the brand name on the left. When you turn it over, you see the lovely ETA 7001 hand-wound movement, just 2.5 mm in thickness, a characteristic that makes it ideal for use in slim dress watches. The C5 Malvern 595 costs €745 with leather strap, €850 with milanaise bracelet. Read more on the Christopher Ward website. 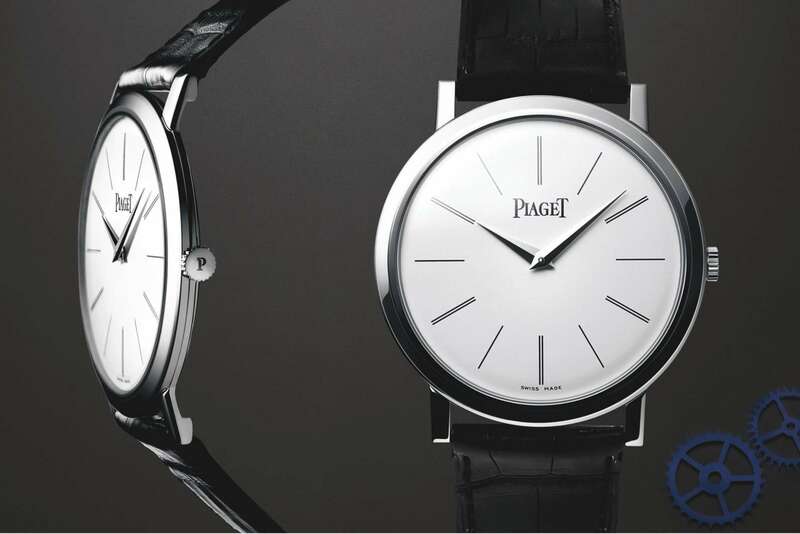 Based on a vintage model, the Altiplano 38 mm expresses Piaget’s remarkable skill in the creation of ultra-thin watches. This piece has a case in white gold, 6 mm in thickness, and its slim profile and the simplicity of the dial make it the classic dress watch. 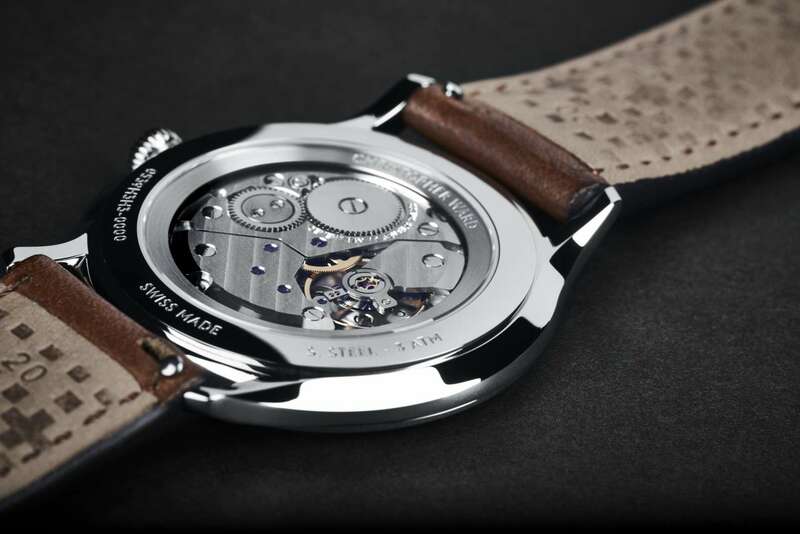 Inside, the 430P movement is hand-wound, with a power reserve of 43 hours, driving the hour and minute hands. There is no seconds hand. The black alligator strap has a white gold buckle. Reference G0A29112, price €17,100. Further information from the Piaget website. 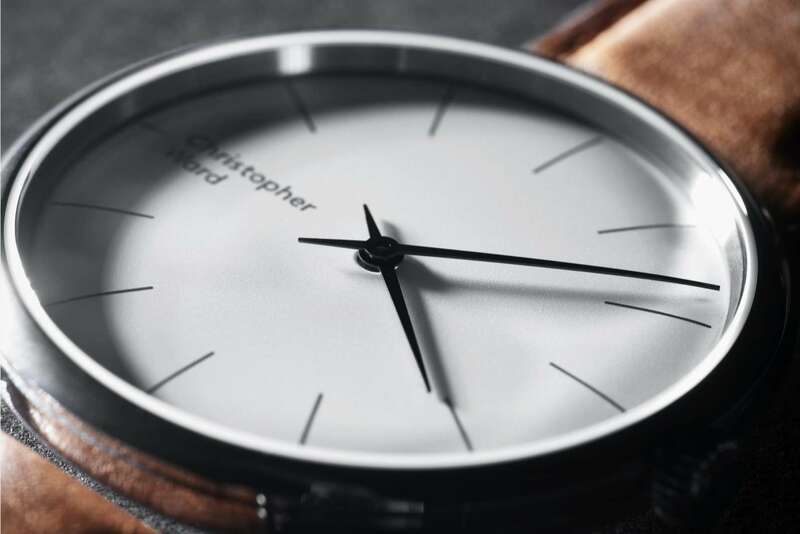 Antea is a Bauhaus-inspired design that has been made by German brand Stowa since 1937. The Antea Klassik KS has a 35.5 mm steel case, just 6.9 mm thick, framing a silver-coated dial with black printed numerals and blued steel hands. The hand-wound Peseux 7001 movement can be seen through the display caseback. Price €1,020. 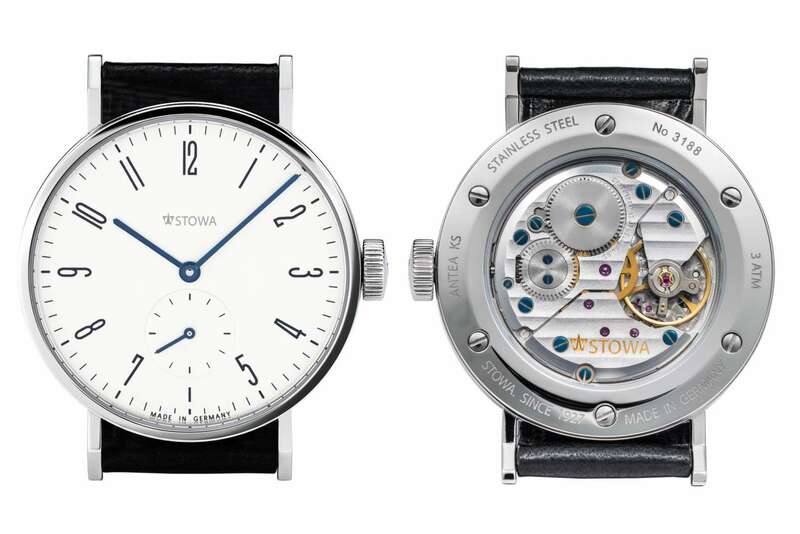 Further information from the Stowa website. 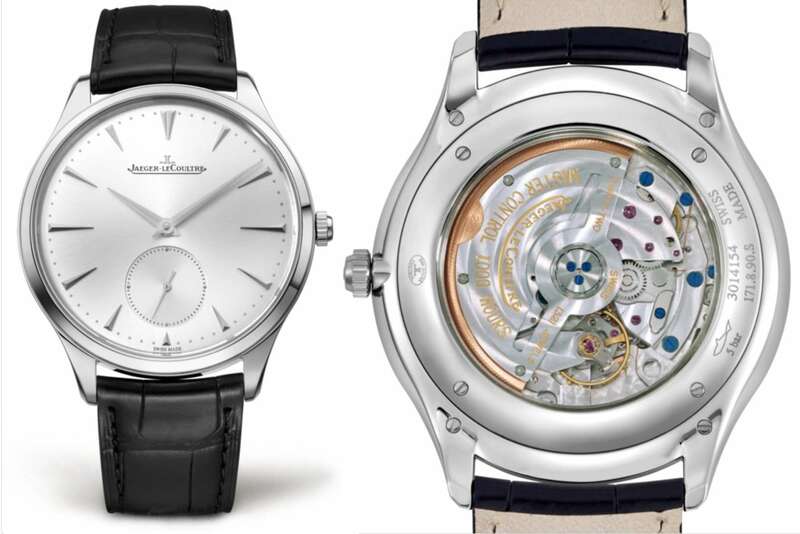 The Master Ultra Thin Small Second by Jaeger-LeCoultre is 38.5 mm in diameter and 7.58 mm in thickness. The stainless steel case frames a silvered dial that creates soft and velvety reflections, with the small seconds subdial providing a subtle contrast with its guilloché-engraved surface. 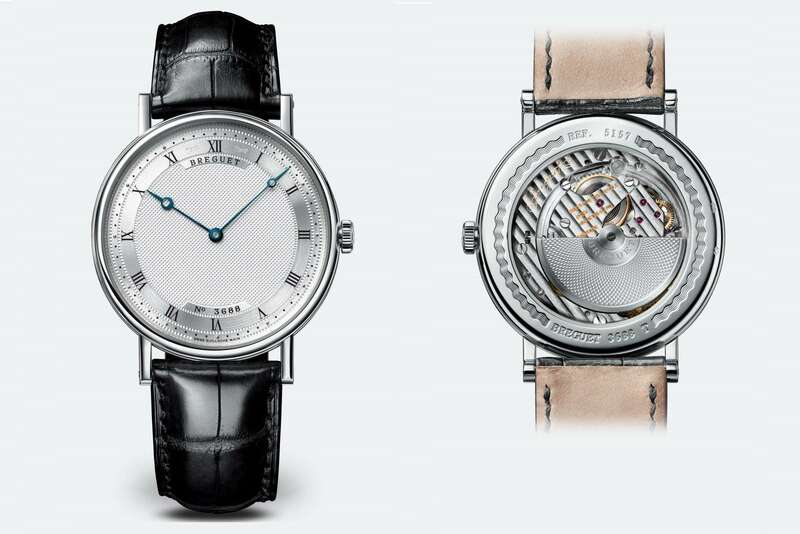 The watch has a self-winding movement designed and built in-house, and it can be viewed through the sapphire caseback. Reference 1278420, price €7,350. Further information from the Jaeger-LeCoultre website. Patrimony by Vacheron Constantin is a classic dress watch, with a platinum case 42 mm in diameter and 7.65 mm in thickness. The dial is absolute perfection, with subtly differentiated hour markers, ‘pearl’ minute track and a small seconds subdial. There is a secret ‘Pt950’ signature on the sand-blasted platinum dial, between 4 and 5 o’clock. The watch has a dark blue alligator leather strap hand-stitched with silk and platinum thread, and it is perfectly integrated into the curve of the case. The hand-wound movement Calibre 4400 AS provides a power reserve of about 65 hours, and it is certified by the Hallmark of Geneva, a guarantee of origin, workmanship, durability and expertise. Reference 1110U/000P-B306, price €39,300. 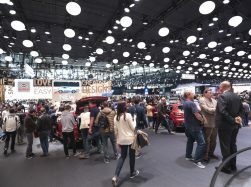 Part of a 150-piece limited edition. 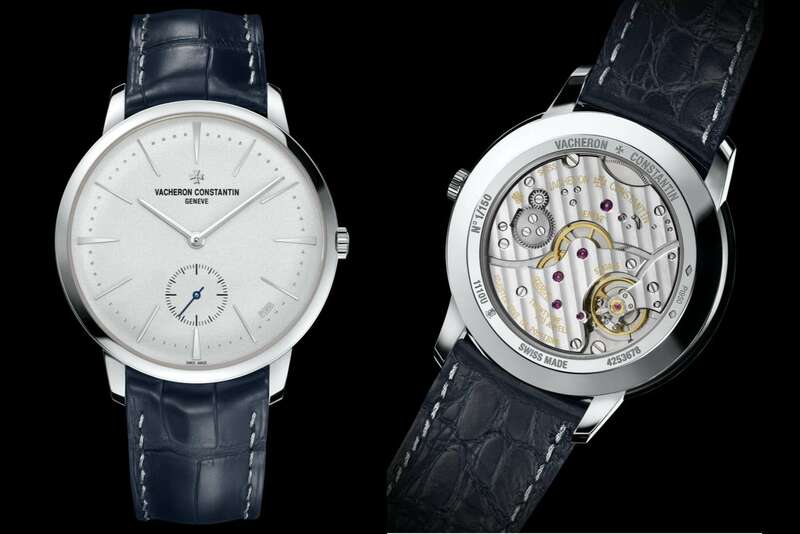 Further information from the Vacheron Constantin website. Sinn celebrates its roots in Frankfurt with the 1746 Heimat, a tribute to the city. The rhodium-coated dial has a decoration based on the diamond pattern typical of Frankfurt’s cider glasses. The case is 42 mm in diameter and 9.4 mm thick, in stainless steel. Differently to the other watches in this article, the 1746 Heimat has a water-resistance rating of 10 bar instead of the standard 3 bar, and this means that it could even be used for surface swimming. The movement is the self-winding ETA 2892-A2. Price €1,890. Further information from the Sinn website.